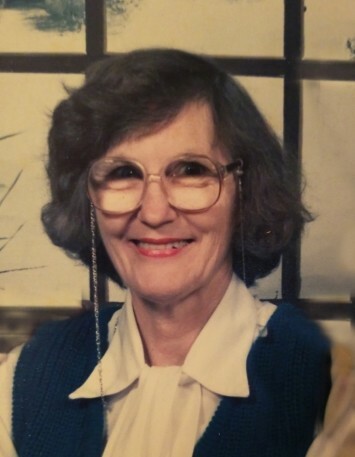 Margaret Mize O'Neal, age 90, of Greensboro, Georgia died on Wednesday, November 21, 2018 at St. Mary's Good Samaritan Hospital in Greensboro, GA. Born in Greene County on May 28, 1928, she was the daughter of the late John Daniel Mize and Margie McEver Mize. She attended school in Woodville and worked for Chipman Union in Union Point, GA as a border and pairer. She was a member of Shiloh Baptist Church and later attended Bethel Baptist Church. Margaret was an avid reader and enjoyed being with her family. In addition to her husband, John O'Neal of Greensboro, GA, she is survived by two daughters, Janice Brooks and husband Curtis of Greensboro, GA and Vickie O'Neal of Greensboro, GA; five grandchildren; Curtis Brooks, III and his wife Shelette, George Brooks, John Brooks and his wife Angel, Rebecca Brooks and Janet Brooks; three great grandchildren, Violetta, Vanya and Visely Brooks;two sisters, Christine M. Harris and Shirley M. Harris and her husband Glenn; brother, Bill Mize and his wife Faye; a number of other relatives and friends. She was preceded in death by two sisters, Catherine Dunn and Annie Lou Serpa; and a brother, John Lester Mize. Funeral Services will be held on Monday, November 26, 2018 at 2:00 p.m. at Bethel Baptist Church, 3981 Union Point Highway, Greensboro, GA 30642 with Rev. Bobby Tomlin officiating. Interment will follow at Shiloh Baptist Church Cemetery, 3400 Penfield Road, Greensboro, GA 30642. Serving as pallbearers are Roy Harris, Justin Harris, John Brooks, Bill Mize, Lance Branyan and Cristian Branyan. The family will receive friends Monday from 1:00 p.m. until time for the service at Bethel Baptist Church. McCommons Funeral Home, 109 W. Broad St., Greensboro, GA, (706) 453-2626, is in charge of arrangements. Visit us at www.mccommonsfuneralhome.com to sign the online guest register.